Flowers love people and we love flowers. 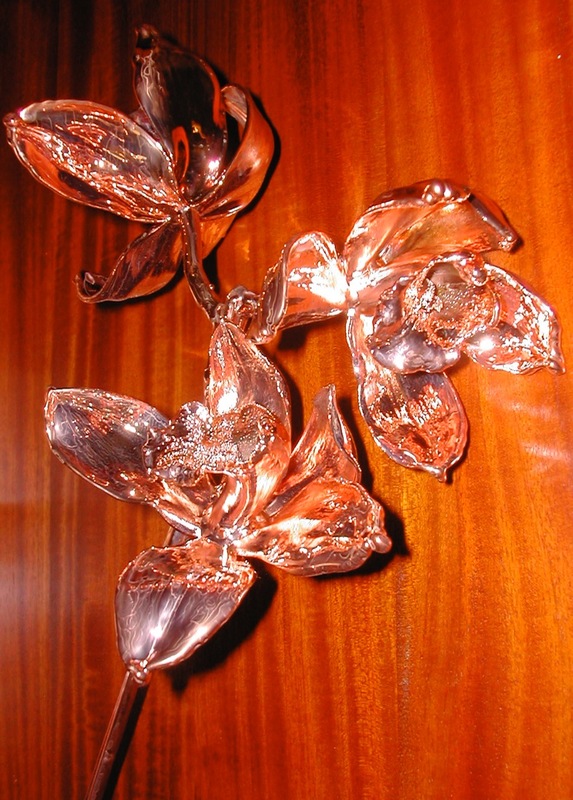 On many occasions flowers in the most beautiful varieties are used for decoration. After all, what would a bride be without a bridal bouquet! At a funeral we find comfort in a beautiful flower arrangement. It is a pity that the flowers specially arranged for such emotional moments, will wither. 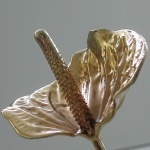 By bronze, silver or gold plating natural flowers we can give great joy to people who would like to keep one or more flowers from a bridal bouquet or from a funeral flower arrangement. 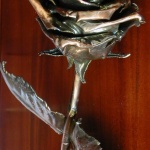 The idea is to coat a genuine natural flower that has a special emotional value to someone with a layer of metal for decoration. 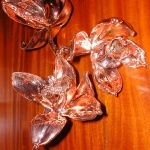 EMBI guarantees that your own special flower will be coated and that this flowerwill be returned to you. 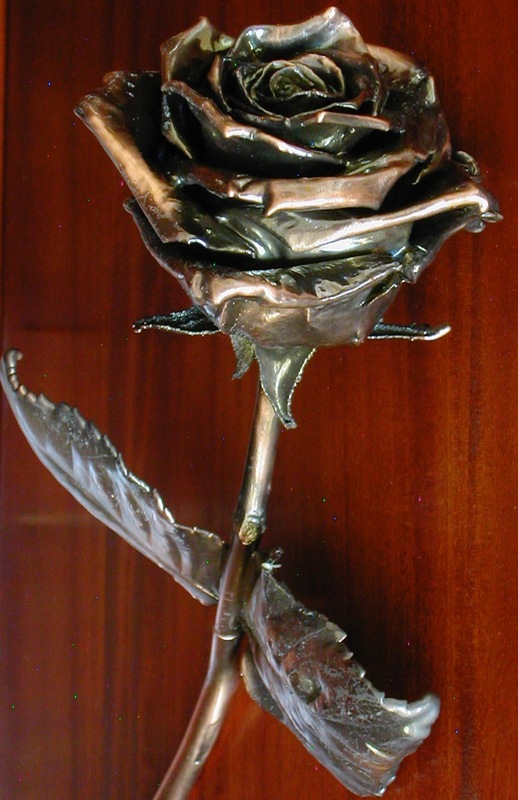 The metallization of natural flowers requires a careful and special treatment. The result depends on the state ithe flower is in when receive it. The fresher and more solid, the more beautiful the result! 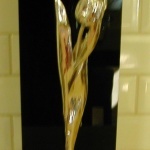 Put it in a glass tube flower holder filled with water. If you do not own this then use a wet wad of cotton wool, wind it around the stem, put a plastic bag around this and tie it off with a rubber band. 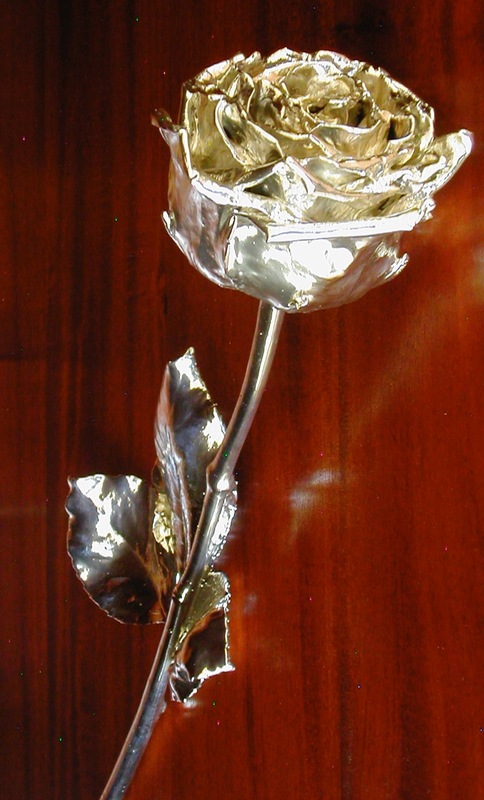 Then loosely wrap the flower, without folding or rumpling the leaves, in aluminium foil. Send the flower in a spacious box filled with light packing material, such as wads of tissue paper, etc. Immediately on receipt the flowers are prepared. After a carefully conducted process, that takes at least a week, we can deliver a beautiful result. Your special flower will be returned to you in about three weeks. 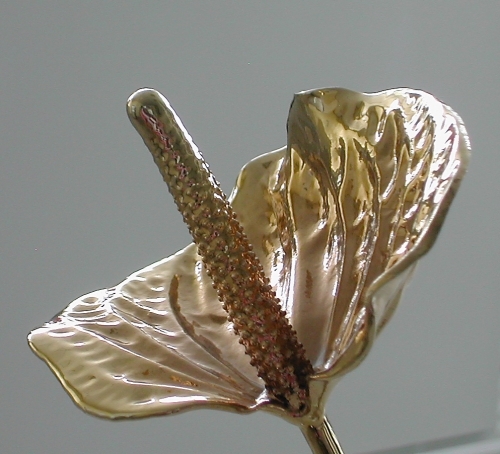 A flower which not only looks very beautiful but is also a lasting memory of that special moment. 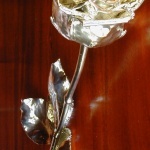 Our silver plated flowers are coated with a layer of lacquer to prevent darkening. Therefore there is no need to polish the flowers. Check our price list for possibilities; for flowers not mentioned, parts of plants, buttonholes or leaves we will quote a price at your request.